Delta is the most valuable airline in the world, according to consultants Brand Finance. 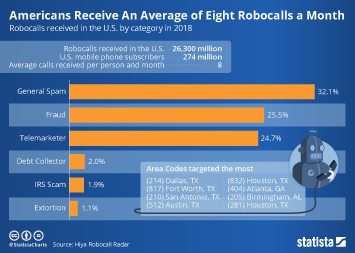 The U.S. airline overtook American Airlines, which came in first in the previous year's ranking and is now the runner-up. Delta grew its brand value to more than US$10 billion in 2019. 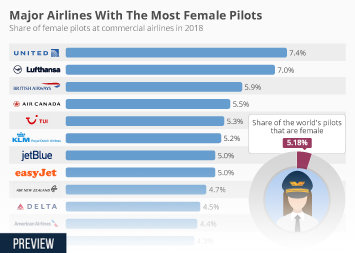 Southwest Airlines, which has been rumored to be a possible target for investor Warren Buffett, came in on rank 4 this year, overtaking Emirates. 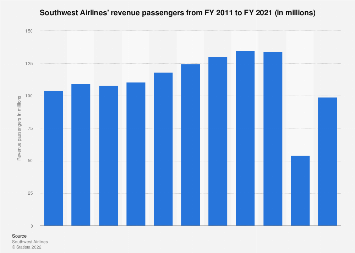 Buffett's company Berkshire Hathaway is already Southwest’s second largest shareholder. 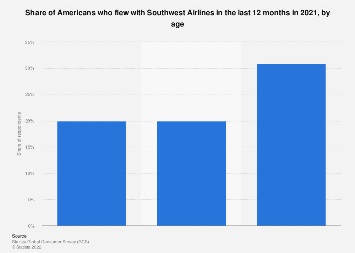 Brand Finance's Airlines 50 report of 2019 values Southwest’s brand at US$6.7 billion, up from US$5.3 billion in 2018. The highest valued airlines in the report were predominantly American airlines. 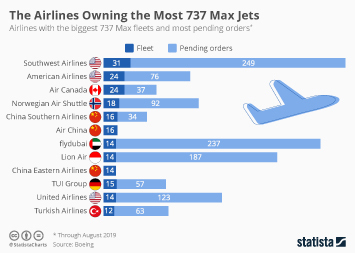 Chinese companies China Southern, China Eastern and Air China, as well as German airline Lufthansa have retained a stable showing in the ranking. This chart shows the most valuable airline brands in the world in 2019, as ranked by Brand Finance.